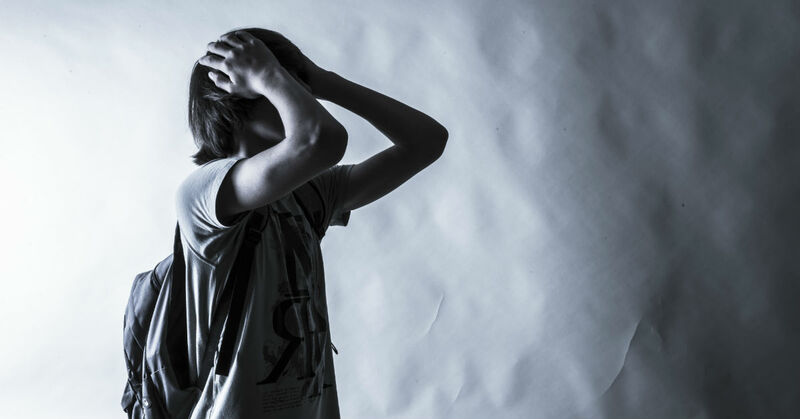 Is your teen son failing in school, making poor choices and behaving badly? If you are a Maine parent who is out of options and your son’s behavior is only getting worse, it’s time to consider a therapeutic boarding school. It’s a safe and secure environment where qualified staff members work with troubled teens and provide therapy, academic support and recreation. Sundance Canyon Academy is a therapeutic boarding school that has helped many troubled boys in Maine and across the entire country. We help them heal and teach them how to deal with life’s challenges in ways that will launch them successfully into adulthood. We believe that each troubled teen deserves help and we are dedicated to being that positive force in their lives. To get more information on how Sundance Canyon Academy can help you and your teen son, please call for a free consultation at 1-866-678-2425. Sometimes parental influence and supervision is not enough for a teen who is struggling with emotional, behavioral or mental health issues. Sundance Canyon Academy is a highly successful, all boys therapeutic boarding school. We are specifically set up to help troubled boys from Maine and across the country deal with a range of issues, from abuse trauma and anxiety to depression and substance abuse. Life is full of challenges that healthy people have a hard time dealing with, but when teens don’t get professional help for specific problems, they can’t overcome the challenges in a healthy way. We have experienced staff members who know what it takes to get to the heart of each boy’s problems and start the healing process. Troubled teens often do well with a complete change of scenery. Leaving behind fear, tension, bad friends and bad habits gives teens a chance to make some decisions for themselves and start a new chapter in their lives. It also gives families and teens time apart to re-establish their relationships. For parents, their highest priority is making sure that their son gets the individual help he needs to deal with emotional, behavioral or mental health issues. Therapeutic boarding schools provide structure, guidance and even teamwork with each boy to help him learn how to recognize behavior triggers, identify deep-down issues, and make the decision to start on the path of healing. At therapeutic boarding schools, teens gain the skills needed to meet challenges in a healthy way, and in no time at all, bad behaviors are replaced with positive habits. Individual and group therapy–Licensed therapists work regularly with teens to ensure they get the help they need and the healing process completed. Academics–Certified teachers help students continue their education and even work toward a high school diploma. Recreation therapy–Teens can learn how to have fun with peers and mentors in healthy ways, while learning new hobbies and skills. Life skills–Teens learn life skills such as budgeting, cleaning, cooking, service and leadership. There are plenty of benefits for enrolling your son in a therapeutic boarding school program that leads to an emotionally healthy life and Sundance Canyon Academy is a great choice. We feel confident that we are the best solution for your family in this time of stress and frustration. Many years of experience have shown us that when teens act out, they are not getting the help they need for mental health, emotional or behavioral issues. When teens have to deal with their issues alone, they turn to risky behavior. Whether it’s anxiety, depression, low self-esteem, abuse trauma, bipolar, or something else, teens cannot fix themselves and parents often don’t have all the tools to help. As a parent in Maine, it’s important that you intervene with your troubled teen son before he becomes a statistic. You may feel discouraged that none of your efforts are working, but that’s normal for teens with emotional, behavioral or mental health issues. Once he is in surroundings that are safe and structured, getting regular therapy and learning new ways to handle challenges, he will be on his way to healing and happiness. At Sundance Canyon Academy, our program can give hope to boys from around the country. Don’t make the mistake of only looking at therapeutic boarding schools in Maine for your troubled teen. There are many advantages to checking out schools in other states, because you will be matching the best school for your teen, and not limit yourself by geography. At Sundance Canyon Academy, we have a high success rate and plenty of parents and teens who have moved on from our program into successful lives. Although we are located in Utah, Maine parents and teens should really give Sundance Canyon Academy a chance. Let us help your family find hope again and get your troubled teen son back on the path to healing and happiness. Also, Utah has some of the strictest standards in the country for teen help programs, which brings peace of mind to lots of parents from Maine and elsewhere. Sundance Canyon Academy has helped hundreds of boys with behavioral, emotional and mental health issues and we are confident that we can help your family as well. Please call today for a free consultation at 1-866-678-2425.